Thicker Panel Vent Plugs - Bolt Products Inc.
Convex, matte finish head that tapers to a thin edge. Permits the passage of air for ventilation and heat dissipation. Locking fingers snap" into holes with fingertip pressure for quick and easy installation. 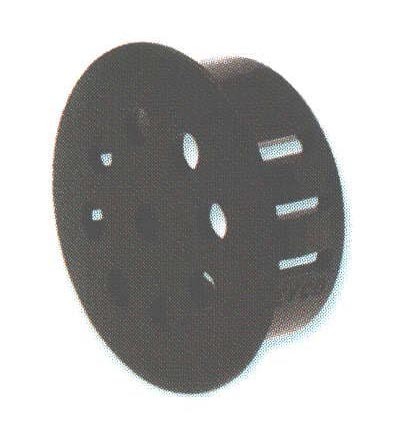 Available in 12 sizes for use in 1/2" (12.7 mm) to 2" (50.8 mm) diameter holes. Approximate Head Thickness : .063" (1.6 mm). Thickness may vary."